The rivalry between DC Comics and Marvel Comics has many fronts in media like toys, films, video games, etc. But as it stands right now, DC Entertainment dominates the television medium with its current slate of TV shows on the air and their plans for additional programs coming in the near future. Once Smallville ended in 2011, a void needed to be filled by DC Entertainment in terms of having a superhero presence in the TV landscape. Rather than mining the Superman/Batman lore, the decision was made to showcase DC’s other heroes and it was a wise choice. For some time, DC and Warner Bros. fell into a crutch and relied too much on Superman and Batman to represent DC in other media. This was understandable since those were the company’s two biggest heroes. It makes perfect business sense to take advantage of the popularity of those heroes. The problem, though, is that with all the marketing and attention focused on Batman and Superman, DC’s other heroes were left out and helped give the impression that the rest of the DC roster consisted of second stringers. That couldn’t be farther from the truth. The DC universe is populated by many captivating heroes and villains and the problem was that the company wasn’t taking full advantage of that notion. Marvel, and specifically Marvel Studios, faced a similar problem but for different reasons. They didn’t have the film rights to Spider-Man or the X-Men, so they had to rely on their lesser known properties. 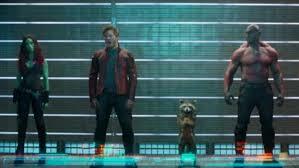 It turned out for the best, otherwise we wouldn’t have gotten live-action adaptations of Guardians of the Galaxy or Thor. In DC’s case, they too were forced to look elsewhere since the Superman well had run dry with Smallville and Batman was considered off limits because of the Dark Knight films. 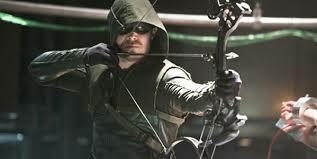 Thus, DC Entertainment looked to an urban vigilante that had many of Batman’s characteristics – Green Arrow. All things considered, he is a solid alternative for Batman when it came to being featured in a live-action TV show. After all, both are urban crimefighters without superpowers and use specialized weapons. 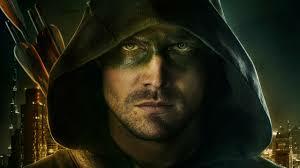 When Arrow premiered in 2012, it presented a more grounded, realistic world for the superhero. In the first season, the main character, who wasn’t even called Green Arrow (in one episode his alter ego, played by Stephen Amell, thought that name Green Arrow was “lame”), wore a practical uniform with only a hoodie and grease paint to conceal his identity. Moving away from fanciful superhumans allowed Arrow to concentrate more on character development and street-level fight scenes. This meant that it was more inviting and relatable for casual viewers. What the producers of Arrow did correctly is that they embraced the DC universe. They weren’t afraid to name drop places like S.T.A.R. Labs and Blüdhaven. Likewise, the series featured recognizable DC characters like Amanda Waller (head of the Suicide Squad), Slade Wilson and even the Batman villain Ra’s al Ghul and his League of Assassins. It was enough bones thrown to DC fans to keep them glued to their TVs. Arrow then took a step further and introduced superpowered characters in its second season thanks to this strength-enhancing drug called Mirakuru and the introduction of Barry Allen (Grant Gustin), whose Flash origin occurred at the end of one of the Arrow episodes. This naturally led to The Flash spinoff that premiered recently. Taking a lighter tone than Arrow, The Flash is more of a throwback to the fast-moving comic books with outlandish supervillains, while utilizing the same kind of engrossing subplots that Arrow uses. What’s more is that both shows are definitely in the same universe. Although the concept of a shared universe isn’t new in TV shows, this was the first time this was done for superhero shows (not counting The Six Million Dollar Man and The Bionic Woman) and it’s exciting to watch characters appearing in both programs with even more allusions to a wider world. 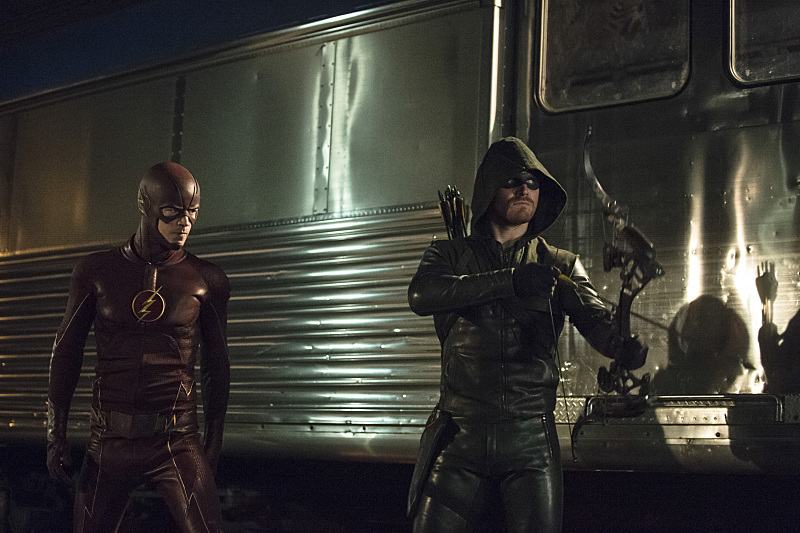 Both Arrow and The Flash are huge hits on The CW network and should be around for the long haul. 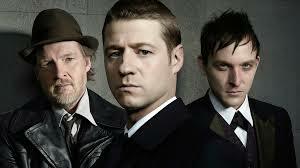 Gotham, a show set in the title city and taking place after the killing of Bruce Wayne’s parents, is a hit on Fox. In fact, it pulls in more ratings than The CW superhero shows but that is due to the wider audience that Fox has compared to The CW. Even though Gotham is a hit, there should be some caution because it’s on Fox, so there isn’t any guarantee that it will last as long as if it was on The CW. That is a problem that DC and Warner Bros. faces. Sure they can put anything on The CW, a fledging network, but it won’t reach as large an audience as in the major networks. But on the big networks, there is more pressure to succeed. Already, Constantine airs on NBC and has dismal ratings–it was recently announced that the show won’t go beyond initial 13 episodes and its fate is unknown. Constantine’s rating woes are due to its time slot: Fridays at 10 pm. How can any show succeed on that slot? It probably would’ve been better if it aired on a cable network where it could’ve thrived and be allowed to be darker like its comic book counterpart. One of the great corporate rivalries is the one between the comic book giants Marvel Comics and DC Comics. It’s a competition that has spilled over to other media. When it comes to films, Marvel has won the war on that front due to the monumental successes of their Marvel Cinematic Universe (MCU) films. However, take a quick glance at the current TV schedule. From looking at that and television history, it’s obvious that DC has won the TV War…for now. In reality, DC had the war won for decades now. 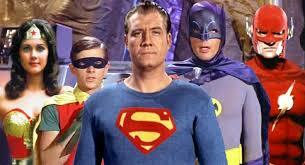 This goes way back to the 1950s with the success of the first TV show based on Superman. That would be, of course, the landmark series Adventures of Superman, which starred George Reeves. It’s well known that the series was very popular and helped cement Superman’s legendary status in pop culture. Marvel at that time period didn’t even exist, nor did their most popular heroes because the company was concentrating on non-superhero comic books. Following the cancellation of Adventures of Superman, the next DC superhero to bask in the television spotlight was Batman. Beginning in 1966, Batman was an instant hit and a genuine pop culture phenomenon. Starring Adam West and Burt Ward as Batman and Robin, the show was a decidedly goofy sendup of comic books and introduced characters like the Joker and Catwoman to non-comic book readers. Although, it was and is still popular, many decried the way Batman belittled the Caped Crusader and comic books in general. 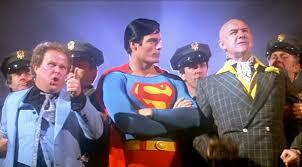 In the 1970s, there were a few TV shows and specials based on DC Comics superheroes. 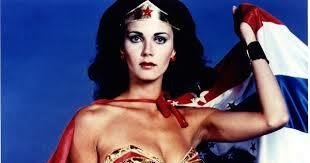 The best known was Wonder Woman, starring Lynda Carter and it aired from 1975 to 1979. The show wasn’t as cheesy as Batman, nor as popular, but it was noted for its pro-feminist stance since the title character was a superhuman woman. The women’s lib messages obviously went over the heads of most younger viewers, who were enamored with Lynda Carter and her skimpy outfit. Other TV shows airing in the 1970s were strictly aimed at children like Shazam! and The Secrets of Isis. In fact, these half-hour programs only aired on Saturday mornings and had limited appeal. Around this time period, Marvel got into the act with the premieres of TV shows and TV films based on their characters. The first superhero to make a live-action appearance was Spider-Man, who made non-speaking appearances on The Electric Company. Some of the Marvel TV films and shows were truly awful like Captain America and The Amazing Spider-Man, which thankfully did not last long as a series. 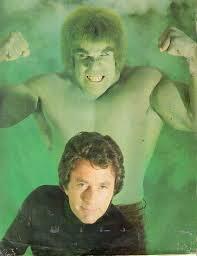 But a couple were actually decent like Doctor Strange and Marvel’s biggest hit on TV The Incredible Hulk. Airing in November 1977 and starring Bill Bixby and Lou Ferrigno, the TV film was a big hit and led to a successful TV series the following year. The decade that followed, the 1980s, was slow for comic book properties on TV. After The Incredible Hulk was cancelled in 1982 there wouldn’t be another superhero TV show until the syndicated program Superboy debuted in 1988. Coming after the film disaster Superman IV: The Quest for Peace, Superboy was a welcome respite for fans who just wanted to see good, old-fashioned superheroics and teenage angst. Plus, Superboy was a competent place holder until DC and its parent company Warner Bros. could bring out another Superman TV series or film. On a side note, there were a trio of TV films that continued the Hulk’s adventures and the first two introduced live-action versions of Thor and Daredevil. The Hulk and his alter ego David Banner actually died at the end of the third film, but there were plans to do more TV films. However, those ended after Bixby’s untimely death in 1993. 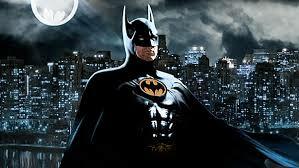 The humongous success of the film Batman in 1989 helped jumpstart new DC-based TV shows in the 1990s. Not wanting to rest with the success of Superboy, Swamp Thing: The Series premiered on the basic cable channel USA Network in 1990, while a show based on the comic book Human Target aired briefly on ABC in 1992. There were two shows that made the largest impact in that decade. They were The Flash and Lois & Clark: The New Adventures of Superman. 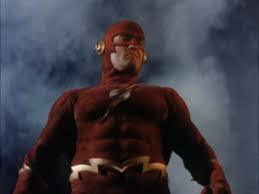 The Flash, starring John Wesley Shipp, premiered in the fall of 1990 fresh off the success of Batman and seemed to copy the stylistic direction of the Tim Burton film. Even though it only lasted one season, the show is revered by fans because of its fun stories, dazzling effects, and character work. Lois & Clark: The New Adventures of Superman, which aired on ABC, was targeted more towards women since it concentrated more on the relationship between Lois Lane (Teri Hatcher) and Clark Kent (Dean Cain). The superhero aspects of Superman took a back seat to the romantic shenanigans and it was laden with light humor. Of course, this displeased some fans, but it was still a successful program. 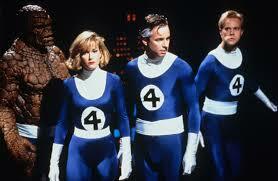 As for Marvel, the 1990s was a decade best left forgotten. There were DOA pilots based on Power Pack, Generation X and Nick Fury. As for the syndicated show Night Man, the less said about it the better. As DC dominated the television medium, there was another TV venue that it conquered. That was with their animated TV shows. Since the 1960s, there have been numerous TV shows that aired on Saturday mornings and on syndication based on DC’s superheroes. DC enjoyed early successes like Superfriends in the 1970s, but their animated shows weren’t acclaimed until Batman: The Animated Series premiered in 1992. Boasting memorable characters, villains and plots, the show was a huge hit and led to other superior animated gems like Batman Beyond, Superman: The Animated Series and Justice League. DC’s animated renaissance probably culminated with the recent Young Justice. It just lasted two seasons, but its smartly written scripts, mature themes, and complex character development won wide appraisals from fans and critics. In this venue, Marvel actually presented itself as a viable counterpart to DC since the 1960s with series based on Spider-Man, the Hulk, the Avengers and other stalwarts. The results were quite admirable in many instances, but DC on the whole produced more noteworthy animated TV shows. As DC celebrated their animated successes in the 1990s, the live-action field was stagnant after the cancellation of Lois & Clark in 1997. There was an infamous pilot made for the Justice League that thankfully never made it into a series. It can be found on Youtube for anyone that is curious. The live-action drought ended a few years later in 2001 with Smallville. This long-running show starred Tom Welling as Clark Kent in his teenage years and early twenties. 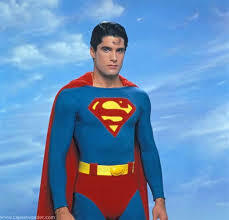 It ran on The WB and later The CW networks and explored many aspects of the Superman mythos while concentrating on Clark’s emotional development and how he came to be Superman. It had its faults like the producers’ insistence of “no tights, no flights”, which meant Clark never put on his iconic Superman suit. (The final episode doesn’t count since he was never fully shown wearing it.) This was strange because many other superheroes featured on Smallville like Green Arrow, the Justice Society and Supergirl were allowed to fully embrace their comic-book roots. The Warner Bros. network tried to capitalize on the success of Smallville with other programs, but weren’t successful. Efforts included the short-lived Birds of Prey in 2002 and a pilot for Aquaman. Around the time that Smallville came to an end, the superhero genre exploded in theaters. Super hits like The Dark Knight, Iron Man, and The Avengers cemented the permanence of superhero films. As it goes, whenever there is a mammoth box office hit, TV executives take notice and follow suit. 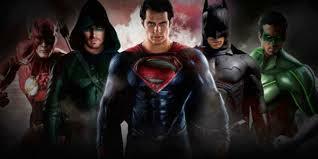 Warner Bros. and DC took advantage of the heightened interest in superheroes and produced many TV shows. Not all of them bore fruit like pilots for Aquaman and Wonder Woman, or another iteration of Human Target, but others blossomed and are now hit shows. These include Arrow, The Flash, Gotham and to a lesser extent Constantine. And that is just the beginning. Marvel Entertainment has ruled the box office with its numerous hit films, especially those produced by Marvel Studios. Meanwhile, DC Entertainment and its parent company Warner Bros. while successful with TV and video game adaptations of the DC superheroes seemed to be asleep at the wheel in putting out film products to counter Marvel’s box office dominion. Around the beginning of this decade as Marvel Studios was blossoming what was DC Entertainment doing around this time? 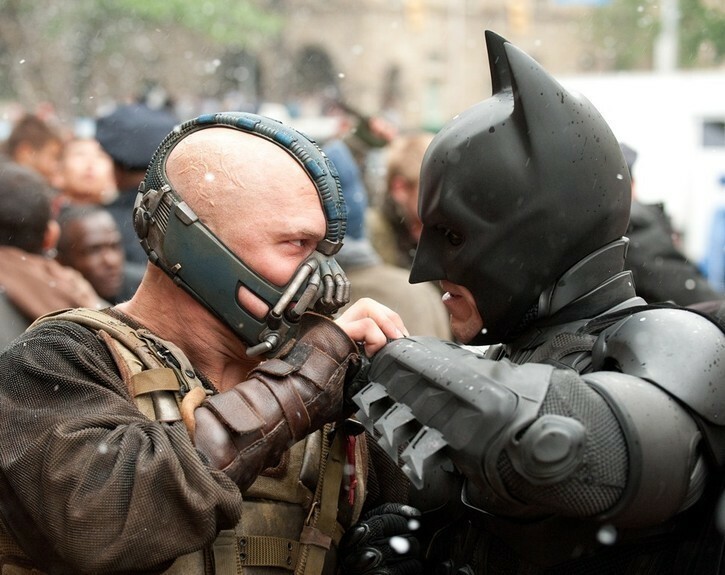 We got from them Green Lantern and The Dark Knight Rises. The former film didn’t perform to expectations and failed to resonate with fans and audiences. Green Lantern was hamstrung with weak villains, pedestrian storytelling, and for a film featuring a cosmic hero it was too Earthbound. On the other hand, the final film in Christopher Nolan’s Dark Knight trilogy was well received at the time of its release, but many grumbled that it was too ponderous, pretentious and its villain Bane (Tom Hardy) couldn’t compare to The Dark Knight’s Joker (Heath Ledger). What was noticeable was that Batman’s world seemed smaller and darker than the more light-toned Marvel Cinematic Universe. It seemed odd that Batman was the sole superhero around in Nolan’s films, although for The Dark Knight Rises’ plot of Gotham held hostage, that was a necessity. It was plain to see in the end that while the Batman films were hugely successful, they did not do anything to expand the DC Universe in film. So once that trilogy was completed there wasn’t anything to follow it. Does all of this mean that it’s over for DC? Should they throw in the towel? Hell, no! They may be way behind Marvel at the moment, but they are gearing up for a new war that will start in March 25, 2016. The release of Batman v. Superman: Dawn Of Justice is just the opening salvo. However, the failures of Green Lantern and The Dark Knight Rises in terms of creating a cinematic universe is why DC had to start over with Man Of Steel in 2013, already a few years behind Marvel Studios. That reboot of Superman and his mythos was successful, but it’s considered controversial by many fans who decried the character deviations, especially when Superman killed at the film’s end. Nevertheless, the film did begin an earnest establishment of a larger universe. Take the scene near the end when Superman (Henry Cavill) and Zod (Michael Shannon) fight above Earth and tear apart a satellite belonging to Wayne Industries. It was a nifty Easter egg, but it was a blink-and-you’ll-miss-it moment and the film should’ve done more. Imagine if a post-credits scene was shown where the near destruction of Metropolis is shown on a TV screen. The camera would’ve pulled back to show that the TV was in a cave and that Batman could be seen watching the disaster on TV. Or have the TV in a non-descript apartment where a certain green Power Battery could be spotted. Regardless, Man Of Steel was DC’s first true attempt at establishing its own cinematic universe. Its Easter eggs may pale next to Iron Man with the Avengers Initiative scene, but it’s a start. 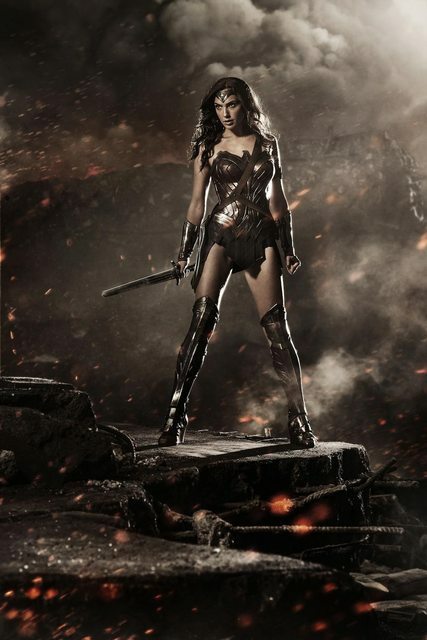 From March 2016 until 2020, DC has eight films scheduled for release. At this point, the general public doesn’t know which properties will be on the big screen aside from Batman v. Superman: Dawn Of Justice, but current rumors point to Shazam, Wonder Woman, the Justice League (finally! 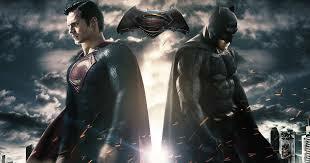 ), a new Batman, and a proper sequel to Man Of Steel. DC and Warner Bros. should be commended for not rushing things unlike some other movie studios with comic book properties (looking at you Sony). This means that when the universe is finally presented it should be cohesive and well done. Regarding the recent decision to move Batman v. Superman: Dawn Of Justice from May 6,2016 to March 25,2016, it may seem like an admission of defeat. One way of looking at it is that DC recognizes what a juggernaut Marvel Studios and its films have become and want to avoid direct competition. But it’s really a more strategic move by DC and Warner Bros. to ensure that Batman v. Superman: Dawn Of Justice reaches the widest possible audience. That is why they moved up the film’s release date so it doesn’t have to compete with the third Captain America film. A lot of people salivated over the prospect over these two comic book titans going at it in the box office, but in reality such direct competition would hurt both brands. In this case, DC would have suffered more. Why? It’s likely that Batman v. Superman: Dawn Of Justice would’ve won the match against the third Captain America film, but the Marvel Cinematic Universe is a proven brand with devoted followers and Captain America has risen significantly in popularity thanks to his last film. There isn’t any way that the third film would flopped; it would’ve earned a respectable amount of money in the matchup, enough for Marvel to declare a pyrrhic victory and claim their film held up well against DC’s better known characters. In the meantime, if Batman v. Superman: Dawn Of Justice didn’t have super impressive opening box office numbers or heaven forbid came in second on the opening weekend, it would’ve spelled a PR disaster for DC and stifled their burgeoning cinematic universe. DC had more to lose than Marvel, so taking a page from their competitor’s strategy book, they positioned their centerpiece film in a less competitive time period where it’s guaranteed to score high. With DC beginning its own universe, which at this point is still in planning stages, Marvel is charging forward with more film releases. 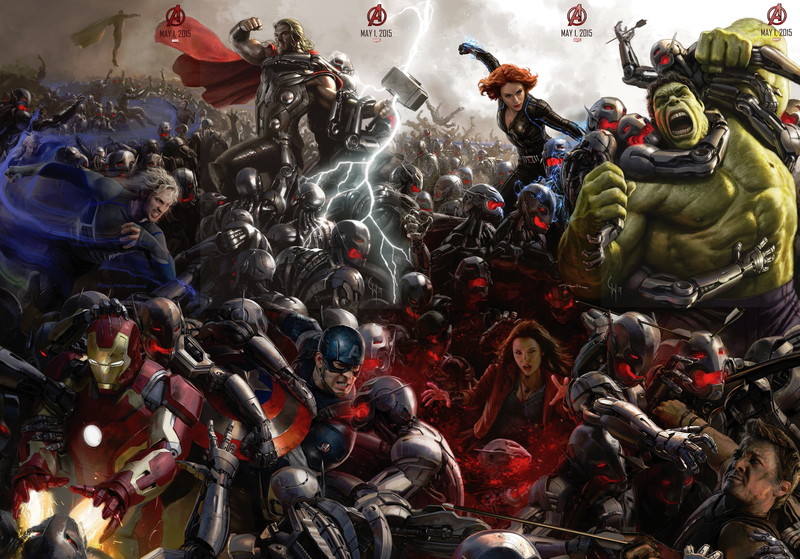 Next year will see the eagerly anticipated sequel Avengers: Age Of Ultron and Ant-Man. The following year we’ll get the aforementioned third Captain America film and on July 28, 2017 the Guardians of the Galaxy will return to theaters with a new film. Additionally, Marvel recently announced several release dates through 2019 for five more films in the MCU. No details have been released but the speculation is that these films may include sequels to Thor, the Avengers, possibly Iron Man (Robert Downey, Jr. recently expressed interest in continuing to play Iron Man), and new properties like Captain Marvel, Black Panther, the Inhumans, or Doctor Strange. A film based on the last character mentioned, Doctor Strange, also means that Marvel is branching off in yet another direction. Like with Guardians Of The Galaxy, which is actually a space adventure film, a Doctor Strange film would not be a traditional superhero film, but rather one that deals in the genre of horror and fantasy. The fact that Scott Derrickson has been hired to direct the film is indicative of its horror trappings since Derrickson’s resume includes horror films. Another Comic-Con at San Diego has come and gone, leaving many fans whetting their appetites over upcoming film releases, TV show premieres, comic books, etc. While the convention is supposed to be about comic books and related matter, the biggest news had to do with pending films and TV shows. Stealing the thunder in the early days of the convention was the immersive Godzilla Experience exhibit that gave convention goers a chance to see what the aftermath of a Godzilla rampage is like. Also, fans got a look at the new design of the famous Kaiju for next year’s Godzilla. 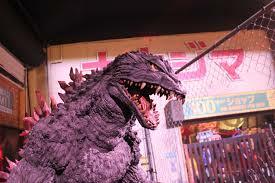 Film director Gareth Edwards promises to deliver a true Godzilla movie unlike the abomination that came out in 1998. Reports are that the footage shown at Comic-Con allegedly captured the mood of the early Godzilla films. This anticipated sequel to Rise Of The Planet Of The Apes, 2011’s successful reboot of the Apes franchise, looks mighty interesting. A special teaser was put together for Comic-Con that showed an older and angrier Caesar (mo-capped again by Andy Serkis) in his ape camp meeting with human resistance fighters. 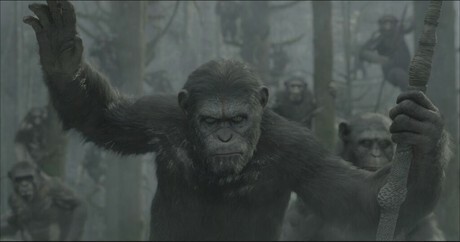 Many were excited by the tease, which presented even more realistically rendered CG apes. The people behind the very successful TV show The Walking Dead seem to have outdone themselves. At least, that is what it looks like with the riveting trailer for the show’s fourth season. We find Rick Grimes and his group of survivors dealing with the nitty gritty of life in a post-apocalyptic world. As usual with The Walking Dead, characters apparently die as shown in the trailer and the tension and thrills seem to be in overdrive. Many curious fans got a gripping look at thrilling and captivating clips from Alonso Cuarón’s Gravity movie. Featuring endangered astronauts played by Sandra Bullock and George Clooney, the movie looks incredible. Thanks to the clips, which showcase the director’s masterful long takes, anticipation has greatly grown for Gravity. This film was delayed from last year, but based on the clips, the wait may have been worth the delay. J.J. Abrams’ Lost and Fringe may no longer be on the air, but his new TV offerings may make up for that. 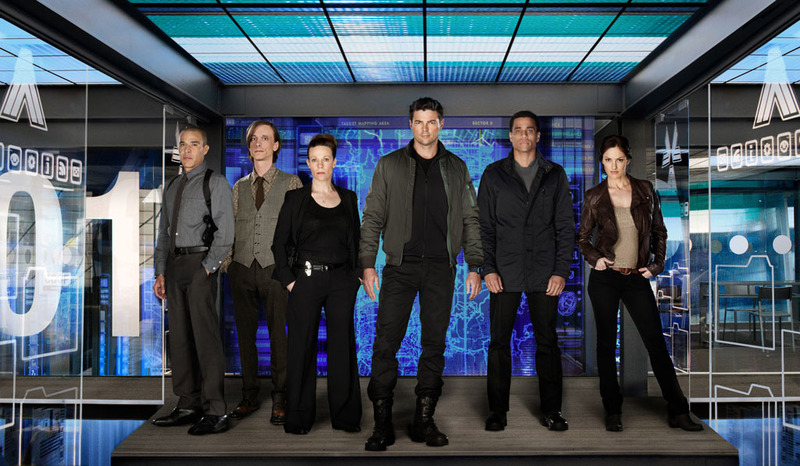 The most promising TV show seems to be Almost Human, which had its pilot screened at Comic-Con. It stars Karl Urban as a cop whose partner is an artificial being in the near future. While the premise sounds formulaic, the pilot was very well received by those who viewed it. The biggest news and reactions were generated by the Marvel and DC movie announcements and previews. Arguably, the most intense and joyous reaction was from the announcement that the next Superman movie will team him up with DC’s other iconic superhero, Batman. Not to be outdone, Marvel previewed footage, props and concept art from an impressive lineup of films like The Amazing Spider-Man 2, Thor: The Dark World, Captain America: The Winter Soldier and Guardians Of The Galaxy. Along with The Amazing Spider-Man 2, two other Marvel films generated a lot of buzz. One was the sequel to The Avengers with the announcement that the evil android Ultron will be the villain. 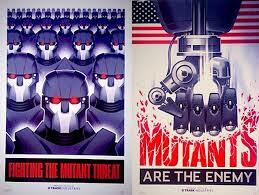 The other film is the eagerly awaited X-Men: Days Of Future Past. Aside from shown footage and anti-mutant posters plastered all over the place, the spectacle of the entire cast appearing to promote next year’s film was noteworthy. Many comic book fans lament about the way that Comic-Con lost its focus on being about comic books. But at least, the films generating the most talk out of the convention are based on comic book properties. This illustrates how the characters in those comics have evolved past their traditional trappings into something larger.